Whether you’re in college, love to donate, or just like to take a stroll down memory lane, here’s an option to check out. You can pick up Maruchan Hot and Spicy Bowls for $0.17 at Safeway after the sale price and a coupon. You’ll save 86%! The sale runs September 27th – October 3rd. 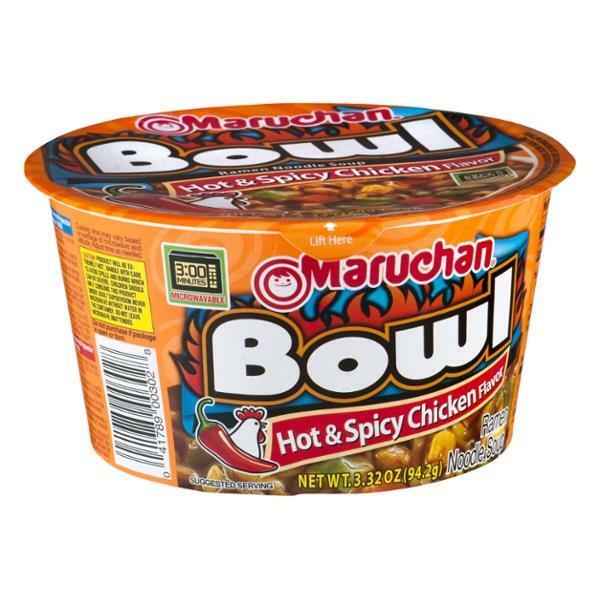 Pick up three (3) Maruchan Hot and Spicy Bowl 3.32-3.66 oz. on sale for $0.50 each, valid 9/27 – 10/3. Clip and use $1.00/3 Maruchan Bowls, Any (Limit of 2 Identical Coupons in Same Shopping Trip; No Cash Back) – SS 08-13-17, exp. 10/31/17. Final price = $0.17, a savings of 86%!